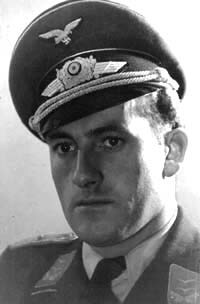 Friedrich “Fritz” Brock was born on 6 May 1916 at Perlach, near München, in Bavaria. Following schooling in München, Brock became a dental technician. He learned to fly in 1935 and was awarded his pilot’s licence on 30 January 1937. Brock was called up on 26 August 1939 and began his basic military training in the Luftwaffe with Schule/Flieger-Ausbildungs-Regiment 23 at Kaufbeuren where he also received promotion to the rank of Feldwebel. On 21 November 1940, Brock underwent flying training at Flugzeugführerschule A/B 63 at Marienbad. He received promotion to the rank of Oberfeldwebel on 1 December. From 16 March 1942, he attended Jagdfliegervorschule 3, based at Wien-Schwechat for advanced flying training before being transferred to Jagfliegerschule 1 at Werneuchen on 16 May. Brock completed his training at Ergänzungs-Jagdgruppe Ost, based in France, on 12 November. On 13 November 1942, Brock was posted to III./JG 54, based at Siwerskaya in Russia. He was assigned to 8./JG 54 under the command of Oberleutnant Günther Fink (46 victories, RK, killed in action 15 May 1943). At the end of January 1943, III./JG 54 was withdrawn from the Eastern front and transferred to the Western front in an exchange with units of JG 26. By March 1943, Brock was based at Oldenburg in Germany involved in the defence of northwestern Germany. Leutnant Brock recorded his first victory on 13 June, when he shot down a USAAF B-17 four-engine bomber near Kiel. By the end of the year, Brock had claimed further two USAAF four-engine bombers shot down to raise his victory total to three. However, after claiming his third victory on 22 December, Oberleutnant Brock was shot down near Asch. He baled out of his stricken Bf 109 G-6 (W.Nr. 20065) “Black 8” landing safely near Quakenbruck, albeit wounded. It would appear Brock was appointed Gruppenadjutant of III./JG 54 early in 1944. He claimed USAAF four-engine bombers shot down on 23 and 24 March 1944. On 3 April, Brock was awarded the Eisernes Kreuz I Klasse. 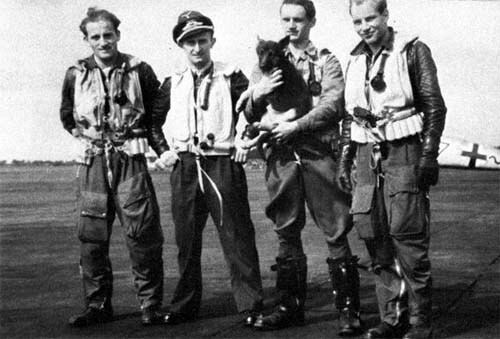 Brock recorded his eighth, and final victory, on 8 April, when he shot down a USAAF B-24 four-engine bomber near Helmstedt. However, he was shot down during this combat and baled out of Bf 109 G-6 (W.Nr. 411 502) “Black 7” with severe wounds. The wounds to both eyes and a double fracture of the skull base decreed that we would not return to combat duty for the remainder of the war. Brock was promoted to the rank of Hauptmann on 1 July 1944. He was appointed Operations Officer (Ia) of III./JG 54 in October 1944.  On 25 February 1945, III./JG 54 was redesignated IV./JG 26 and Brock became Ia with this unit. With the surrender in May 1945, Brock became a prisoner of the British forces. He was held until September when he was released to take up his pre-war career as a dentist. Brock passed away on 3 May 1994 at Berlin. “Fritz” Brock was credited with eight victories. All his victories were recorded over the Western front and include at least six four-engine bombers.